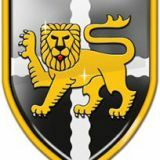 Esher RFC requires an enthusiastic coach to work with the Little Lions, our 2-4 year olds, on Sunday mornings 9.30-10.30. The successful applicant will have previous experience of coaching/working with kids, but you don't have to have rugby experience. You should be willing and keen to promote the Little Lions core values of teamwork, respect, enjoyment, discipline and sportsmanship. We are looking for someone who is reliable and prepared to make the weekly commitment to coach every term-time weekend during the rugby season.